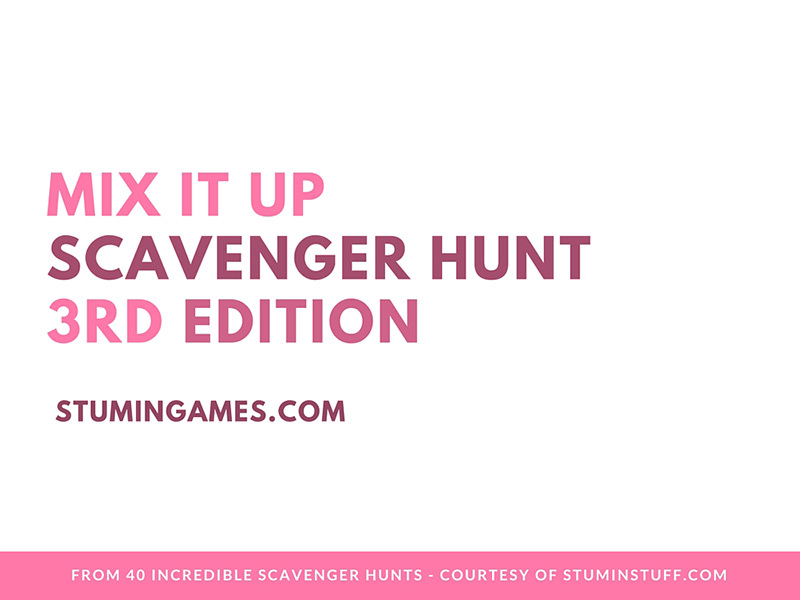 We continue our 40 Days of Scavenger Hunts with another Mix It Up Scavenger Hunt! While we will be sharing many themed scavenger hunts, we know there are times you need a basic scavenger hunt that you can use anytime. Over the next few weeks we will be sharing eight different scavenger hunts that fit this mold. Today we share our third one of these with our first Mix It Up Scavenger Hunt #3 courtesy of Ray Hintz & StuMinStuff.com!